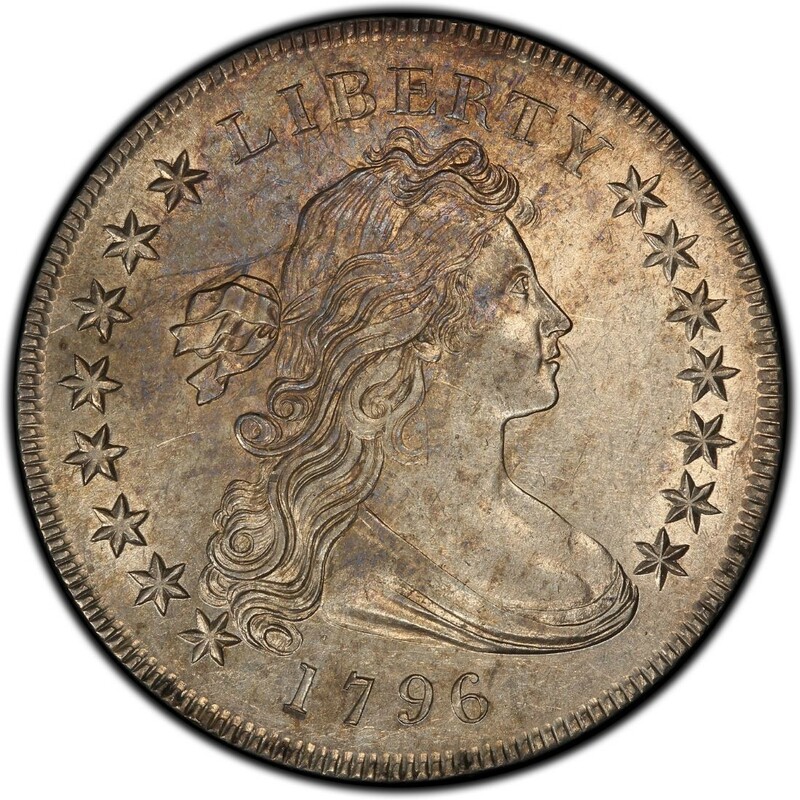 1796 Draped Bust dollars are popular among coin hobbyists as an early American dollar type that is now considered widely scarce and highly collectible. The 1796 Draped Bust dollar was designed by Robert Scot and first appeared in 1795. It represents the second major silver dollar type following the Flowing Hair dollar that was also designed by Scot and was first released in 1794. 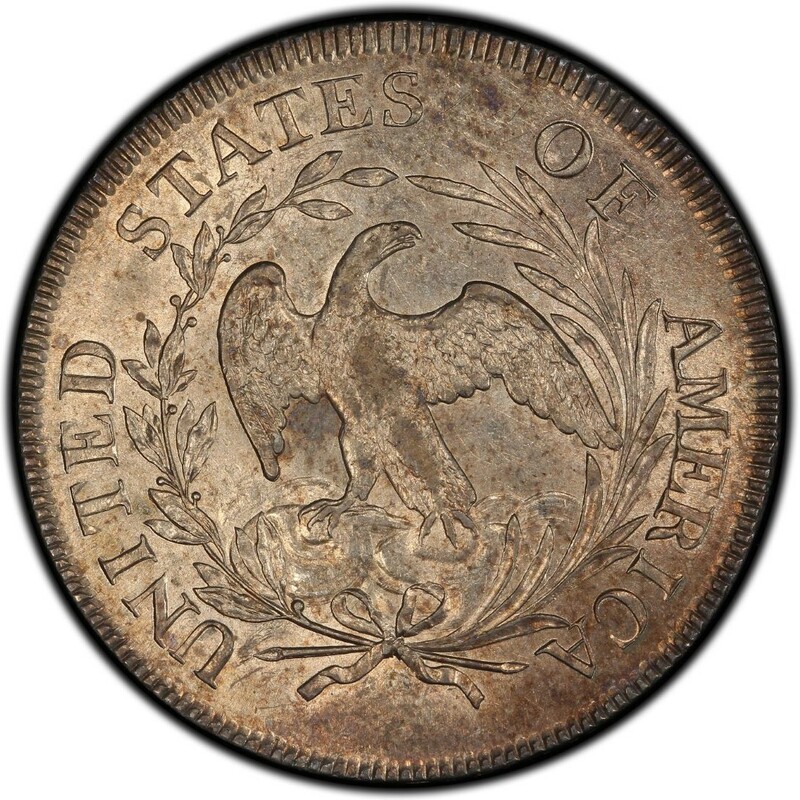 The 1796 Draped Bust dollar is a very expensive type coin that is generally collected by financially well-heeled coin collectors. The prices, though high from the perspective of most coin collectors, are probably more understandable when taken in the context of the relative scarcity of 1796 Draped Bust dollars and, really, all early American dollars. Only 79,920 Draped Bust dollars were minted in 1796, and only a small fraction of these still survive today. By some estimates, less than 4,000 are thought to still exist today, and most of these exhibit some type of issue, such as past cleanings, holes, gouges, deep scratches, or the like. Entry-level prices for 1796 Draped Bust dollars start at around $750 for a problem piece with holes, heavy scratches, a severe cleaning, or other issues. Problem-free pieces in a grade of Good-4 are considerably more expensive and often are found for a minimum price of $1,500 to $1,750. While each of these varieties is generally the same in lower circulated grades as any other listed above, there is some price spread in the uncirculated grade threshold. The most expensive of these in the grade of Mint State-60 is the 1796 Small Date, Large Letters variety, which is worth around $75,000 to $80,000. Very few specimens survive among any of the top grades, but there are also only a relative handful of collectors who are pursuing each of the attributed Draped Bust dollars in grades as high as uncirculated.